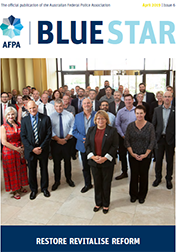 Read More about the Australian Federal Police Association’s Strategy for the upcoming 2019 Federal Election. AFP and AFPA merchandise catalogue and prices can be found here. Please note we no longer accept American Express.